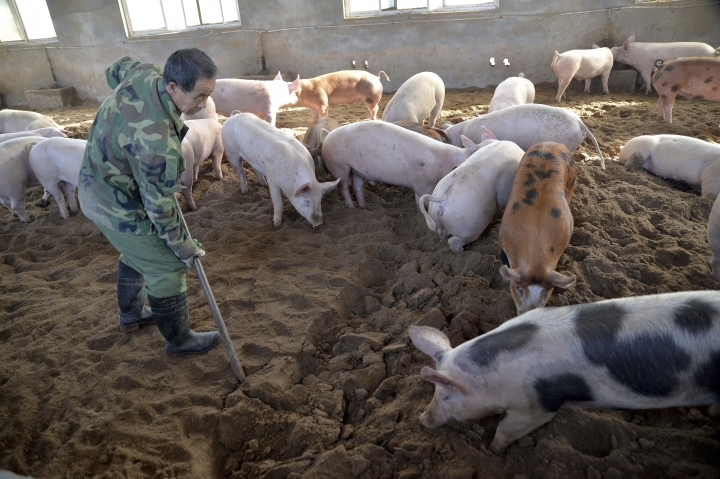 BEIJING — China, the world's largest producer of pork, is battling an African swine fever outbreak that could potentially devastate herds. In the eastern city of Lianyungang, 15,000 pigs have been culled after an outbreak was detected last week, according to the Ministry of Agriculture. Inspectors found 615 pigs had been infected and 88 died. Measures are also being taken to disinfect contaminated areas and block the disease's spread to other farms. Earlier this month, Shenyang in the northeast reported China's first outbreak of the disease, with 47 pig infected, all of which died, the ministry said. Infected pigs were also found last week at a slaughterhouse in the city of Zhengzhou, where they had been transported from Jiamusi in the far north. Authorities were looking into the source of that outbreak in which all 30 of the infected pigs died. Denmark plans to erect a 70-kilometer (43.4-mile) fence along the German border to keep out wild boars, in the hope of preventing the spread of African swine fever, which stands to jeopardize the country's valuable pork industry.